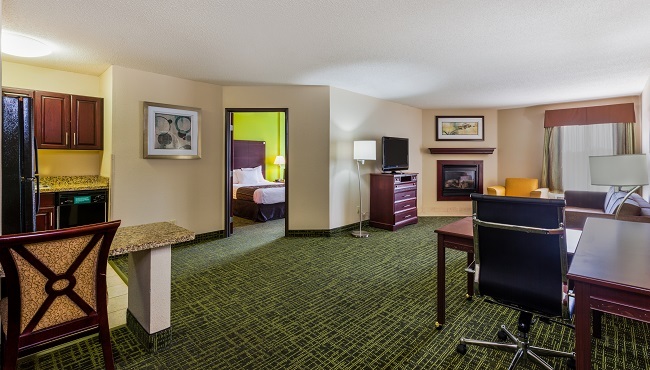 Each of our 82 suites at the Country Inn & Suites offers comfort and convenience with thoughtful amenities like free high-speed Internet access and a coffeemaker. 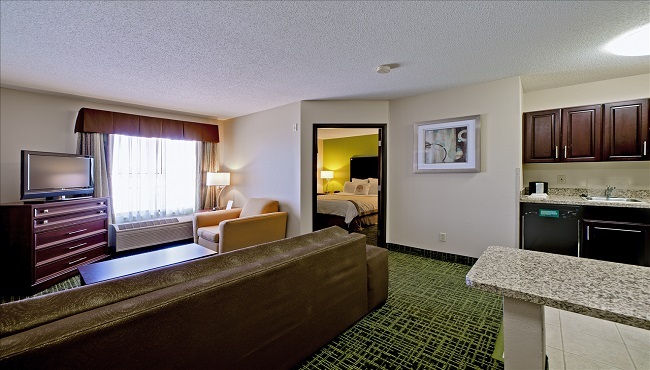 Prepare snacks in the microwave and grab a beverage from the in-room refrigerator while you watch your favorite shows on the flat-screen TV. When it’s time to get down to business, set up your laptop and spread out your documents in the large work space. 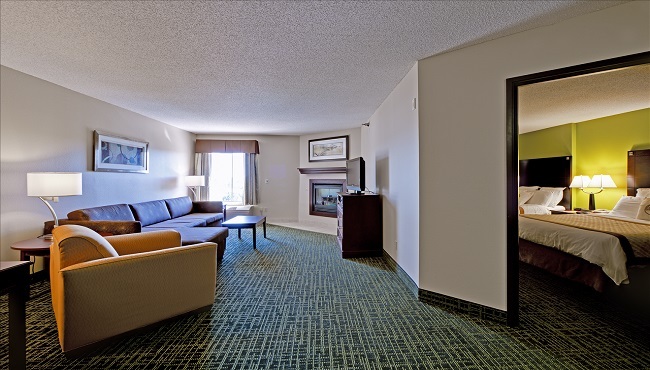 Enjoy all the standard amenities with the added bonus of an open floor plan. 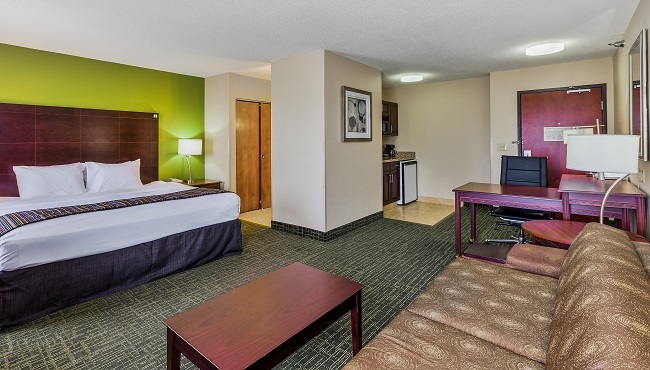 Book a Studio Suite for a 32-inch flat-screen TV, a refrigerator, a microwave and plenty of wiggle room. 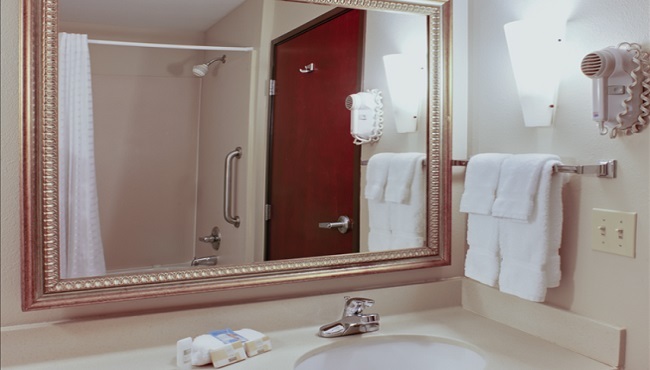 Prepare drinks on the wet bar and ease into your jetted tub in the bathroom for a romantic evening with someone special or an afternoon of much-needed relaxation. 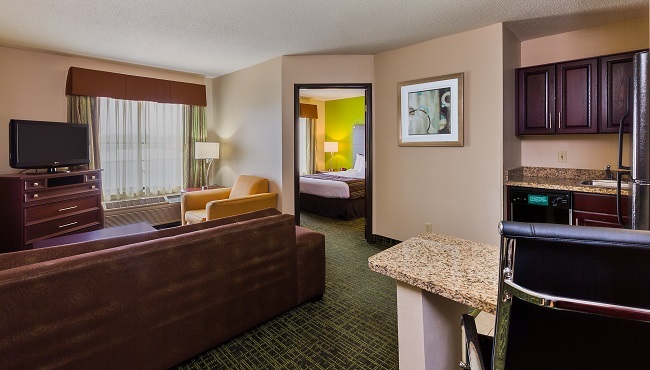 If you’re planning an extended stay and want to avoid eating out for every meal, choose the Full Kitchenette Suite for a full-size refrigerator, a microwave, a dishwasher and a cooktop. 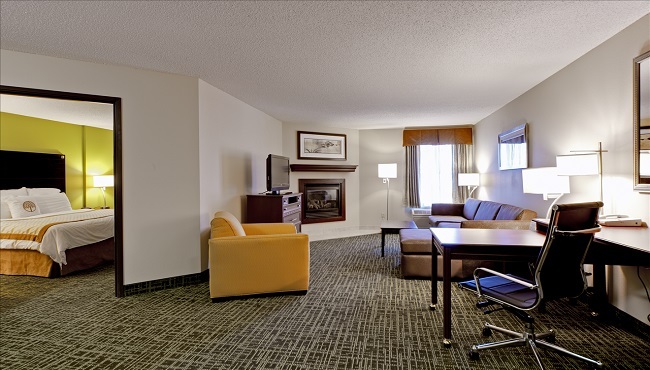 Romance and relaxation are easy in a Fireplace Suite, which features a full kitchenette, a pullout sofa and an in-room fireplace, as well as all standard amenities. 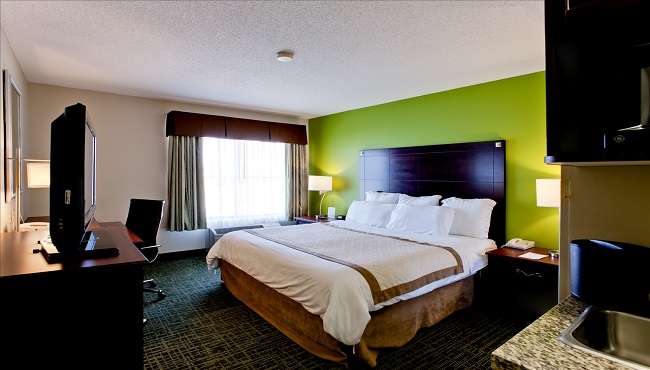 Keep sleep and play separate in a One-bedroom Suite, which features a private bedroom and a separate living area. 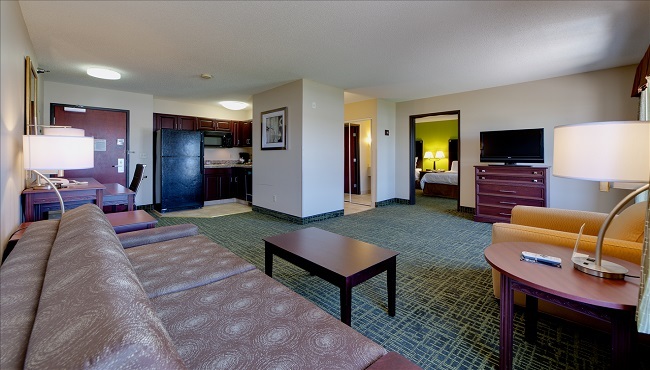 Make drinks at the wet bar and watch movies on the 37-inch flat-screen TV.